Every salesman who has ever had to use the telephone to try to describe their widget to a potential customer is essentially trying to build a 3D model of their product in the customer's mind. Now all they have to do is direct that customer to a website where your model/s can be displayed. 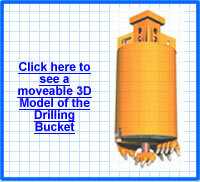 Digital photographs and artists' renditions can do quite a bit, but there's just nothing quite as cool as the 3D model. It can be animated, twisted, turned - manipulated in any way to display the important points. 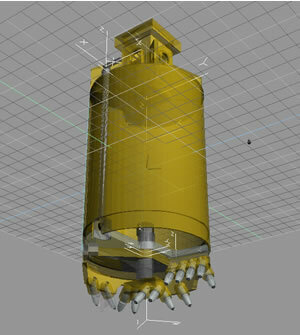 BobGreen.Com can take your drawings, pictures, cad files, etc. and create the model that will help you tell your story. 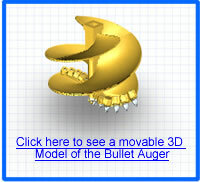 For something really cool in cutting edge 3D technology, click on one of the augers below to seen an example. These models were all created by Bob Green.